ATHENS – The Ohio University Women’s Center is hosting a public lecture by Dr. Janell Hobson, "The Politics of Looking (And Not Looking) Like a Feminist" Thursday Oct. 10 in Walter Hall room 135 at 7 p.m. The event is being cosponsored by United Campus Ministry (UCM) and several other groups. 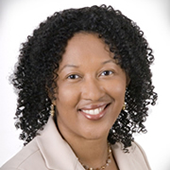 Dr. Hobson is an associate professor of Women’s Studies at the University at Albany State University of New York. She is the author of “Body as Evidence: Mediating Race, Globalizing Gender” and “Venus in the Dark: Blackness and Beauty in Popular Culture.” Hobson also writes and blogs for Ms. Magazine. For information contact the Ohio University Women’s Center, (740) 593-9625 or email womenscenter@ohio.edu.